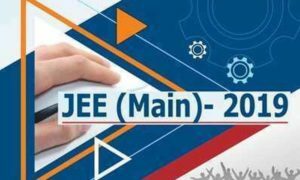 JEE Main paper 2019 analysis: Students giving examinations of JEE (Main) architecture on April 7 said that Paper 2 was a tricky. The entire paper had more questions than the calculus section. Students said that calculus questions were difficult and more time consuming. The questions of the other sections except calculus were easy. Some students said that matrices, calculus part was difficult in the mathematics section. General Aptitude (GA) section was a trick in which questions were asked on 3G things and size. The drawing section was easy for students who had practiced a lot. The architecture paper was in two shifts. The first shift ended at 9.30 am and ended at 12.30 pm. The second shift started at 2.30 am and ended at 5.30 in the evening. Let us know that the examination will be conducted for six days i.e. April 12, 2019. About 9,58,618 students had registered for the examination. Computer Based Examination for Bachelor of Engineering, B Tech and Bachelor in Architecture and Planning For B.Tech, 2,62, 281 female candidates, 6,73,457 male and 3 transgender candidates have registered. For B arc / planning, 71,010 women, 98,756 male and one transgender candidate have registered. The examination will be conducted at 470 examination centers of 267 cities. 9 examination centers are outside of India. Examination will be held in 16 centers in 13 cities of North-East, for which 22,894 candidates have registered. 9,881 candidates have registered for examination in 12 centers in 4 cities of Jammu and Kashmir. JEE Main was organized in January this year too.